This is one of the most expensive properties in Sandbanks but despite this fact and despite being only a few years old there were some problems with the construction. Ellis Belk were called in and we quickly diagnosed several serious defects with the balconies. The remedial works included stripping these balconies back to the structure, reconstructing the glass balustrades. The construction was undertaken by Greendale Construction Limited and we are delighted with the quality of work. We were the CDM-C/Principal Designer, architectural designers, employers agent and project managers. 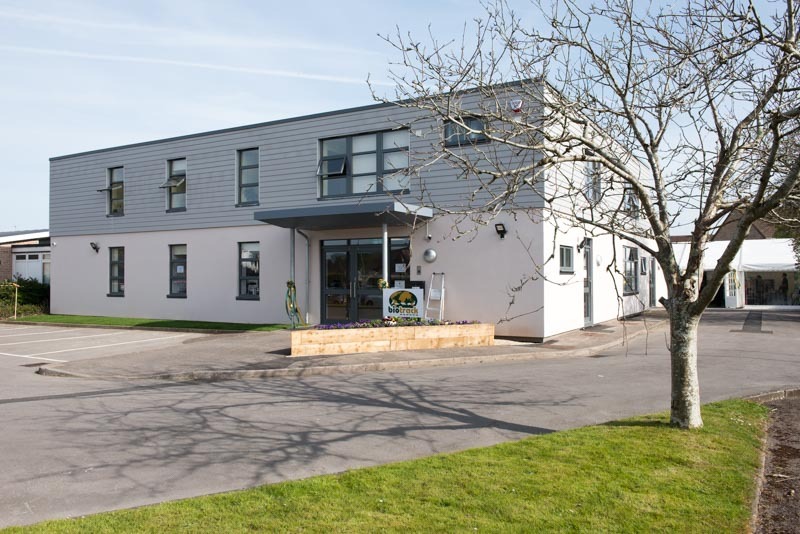 This was a thoroughly enjoyable project, which involved segregating the old magistrates court from the police station and turning it into a high specification manufacturing and administration centre for Biotrack’s UK Headquarters. This presented some challenges when maintaining high security between the connecting Police Station. Simon King OBE, BBC TV wildlife presenter and cameraman officially opened the offices, which manufacture and ship worldwide bespoke radio tagging for wildlife. This project came about after we happened to notice wall tie failure whilst overseeing the re-roofing of the building. Further investigations discovered that the property had already undergone remedial wall tie treatment. However, whoever did it failed to remove the old wall ties, which continued to expand causing cracking and started to push out the outer leaf. The project involved removing the old corroded ties, providing additional remedial ties, together with widespread brickwork and rendering repairs using traditional lime-based mortar and render. The lime putty brick arches were also reconstructed and all the balconies were refurbished using the Westwood liquid-applied system.